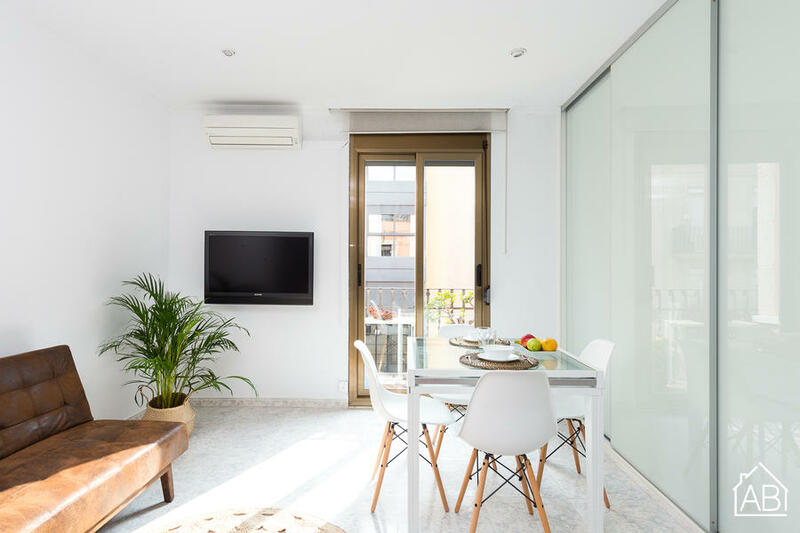 This recently renovated apartment is located in the traditional neighbourhood of El Clot, next to Eixample and Poble Nou neighbourhoods. It offers a private balcony, air-conditioning and Wi-Fi. Rambla del Poblenou is just a short walk away, leading down to the beach and Mediterranean Sea and full of tapas bars and local shops. It is just a 9-minute walk from both Encants and Glories metro stations. The apartment accommodates 2 people, containing 1 double bed. The kitchen is equipped with a microwave, dishwasher, coffee maker, juicer and hob cooker. The apartment also contains central heating, a washing machine and dryer. It is located less than a 20-minute walk from two UNESCO World Heritage sites, the Sagrada Familia and the Hospital de Sant Pau. Just a 10-minute walk away is the famous Encants market and Glories shopping centre. Its surrounding area offers plenty of restaurants, cafés, bars and supermarkets. This neighbourhood is a great choice for those interested in local culture, landmarks and city stays.